Since 1998, “Fantasmic!” has delighted Guests of Disney’s Hollywood Studios at Walt Disney World Resort with breathtaking fireworks, water projections, laser effects and an all-star cast of Disney heroes and villains. 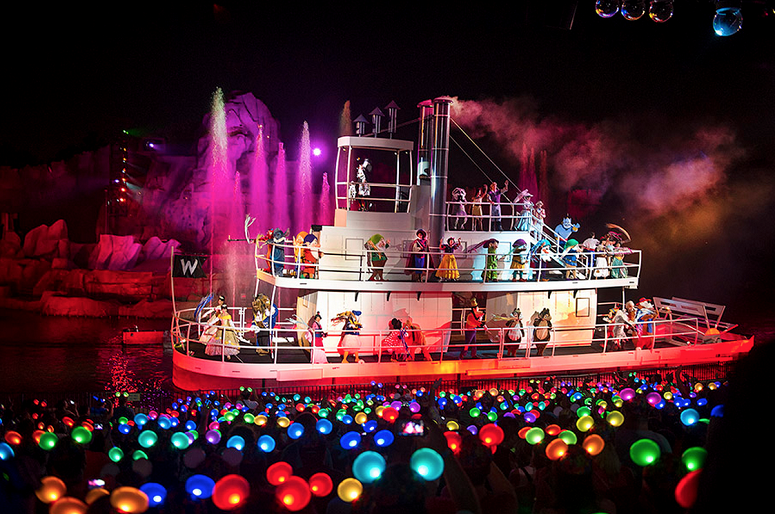 This beloved nighttime spectacular takes audiences on a colorful journey through the vivid imagination of Mickey Mouse. Mickey’s dreams are now brighter than ever thanks to the recent installment of new digital projectors, which surely make a big difference. “Fantasmic!” features classic animation projected onto water screens, highlighting favorite moments and songs from Disney animated films. In early August, these projections were refreshed with upgraded digital projectors, prompting the switch from traditional film to digital content. The projectors now display the animation at a 2K (2048x1080 megapixels) resolution. 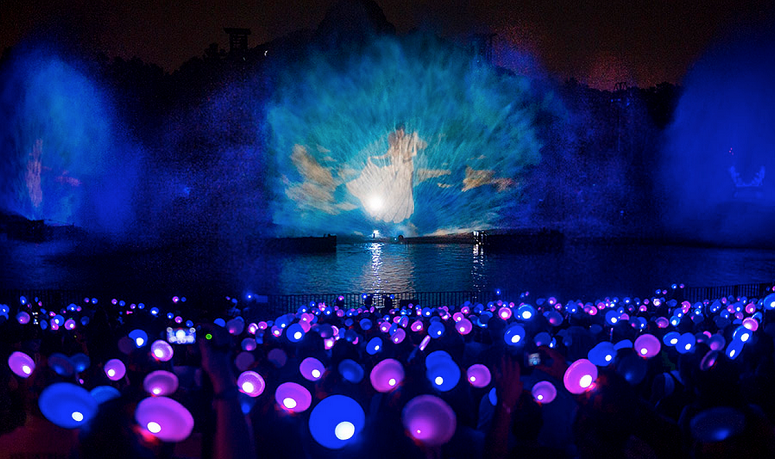 “The digital projectors have opened up a whole new world of possibilities for projection on the water screens of Fantasmic! at Disney’s Hollywood Studios,” said Production Manager Jill B. Bamford. To make this upgrade possible, Walt Disney Parks & Resorts Creative Entertainment partnered with Walt Disney Animation Studios, ETicket Studios, Christie Projectors, and Engineering Services. Technical Director Matthew Cotter matched the latest, digitally remastered versions of the classic animation to the original film layout. The digital projector upgrade has made the animated moments of “Fantasmic!” crystal clear, making the entire show even more fantastic! Make sure to see it for yourself the next time you visit Disney's Hollywood Studios! I'm not sure how I feel about adding the CGI movies. Sure, they're good, but they'd stick out like a sore thumb compared to the rest of the show in traditional animation. We saw the new show with the digital projections in August and wow, what a difference! You could see detail that previously was invisible. The sequences were crips and bright and it made it feel like a whole new show. Fantasmic finally drove us off last year. Aside from the original Disneyland version ( we saw it the first or second year, wow, that was a show) being so much more exciting - more akin to a live stage performance than anything since, the more recent WDW presentation just has lost its drama - replaced by sugary nice. Too fancy, too high tech, too contrived, too disjointed by tossing in clips from whatever movies are popular at the moment. Then add in the push for more and more audience participation, the growing 'second classing' of anyone that hasn't got a FP or didn't pay for a dinner package. Adding Tangled, Princess & Frog and Frozen is hardly whatever is popular at the moment. Princess & Frog is six years old. They also didn't add the CGI films that wouldn't fit right such as Wreck it Ralpha no Big Hero Six, at least the Princesses look right next to Mickey. There is no audience participation in Fantasmic that I remember? I agree Sisneyland feels better, but as you observe, the Rivers of America setting is more intimate than the amphitheatre. With little kids, we always felt that there was this big build up, then the show kinda was like letting the air out of a balloon. Sure it was different, but it was difficult to keep their attention with the 30 minutes of waiting for the show to start.